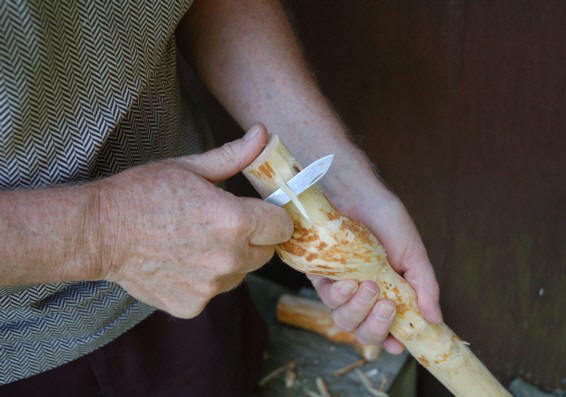 It takes a trained eye to look at a sapling with branches and leaves, its trunk encircled by wild honeysuckle, and see a stick for hiking, a cane for walking. Since retiring from his job as pre-press manager for Charleston Newspapers in Charleston, WV, Paul Kelly has spent hours walking the wooded hills on his land in search of the raw materials for his walking sticks and canes. These densely wooded hillsides grow thicker with each passing year. “These woods have been part of my life all down through the years. When we were young boys, my older brother Tom and I spent a great deal of time in the woods. We learned the names of most of the trees. When we were old enough to hunt we used to hunt rabbits and squirrels, which we ate. 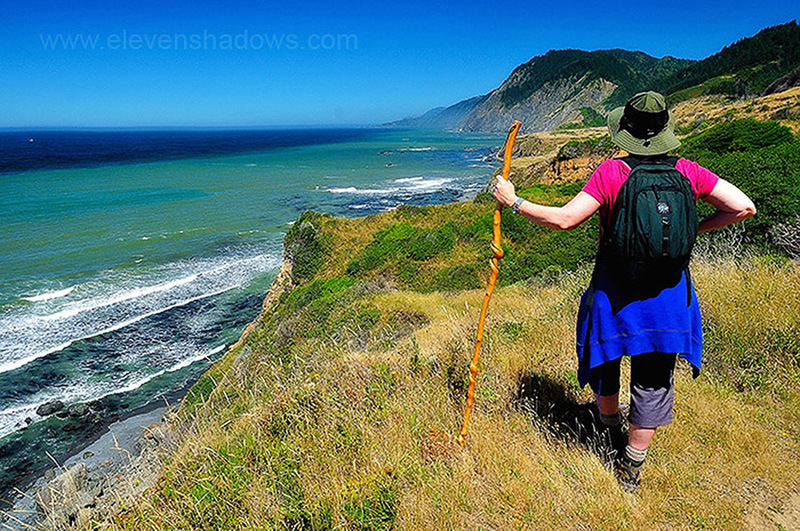 I still like to spend time hunting in the woods, but now I hunt for sticks to make canes and walking sticks. 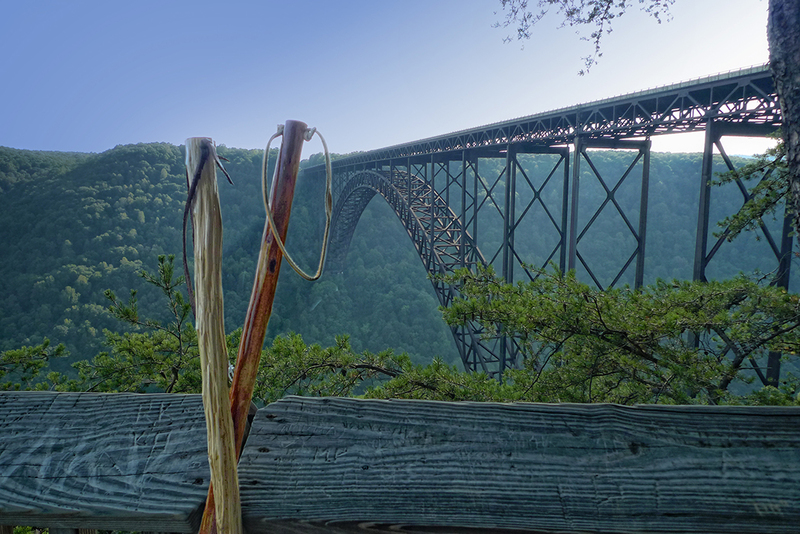 Paul and his walking sticks were featured on WCHS-TV’s “Traveling West Virginia”. Click here to view.